Good turnout for volleyball last week but we could still use more players. Currently we play from 6:30 until 8:00 with teams of players made up of whoever shows up. Cost $20 for the season which run from November until April. If enough dedicated players pay, teams will be assigned and a schedule made. Drop in to try it. 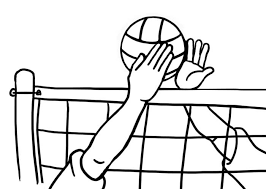 Recreational volleyball is played Tuesday evenings in NHPS. If there are enough participants teams will be formed and a schedule made otherwise we will use a scramble format. The first night is scheduled for Tuesday, Nov. 3 at 6:30. Great exercise for all skill levels at a minimum cost. This is non-competitive play and please bring clean shoes to wear. Contact Liz at carandafarms@gmail.com or Uve for more information.